If you’re looking to see one of these quickly, Twitter always has some ongoing vaccine fireworks. The character limit of Twitter tends to compress the exchanges into hurled invectives, only occasionally punctuated by futile pleas for calm. Many quickly devolve into exchanges between posters of what they believe to be crushing evidence in the form of an image or two. Are you terrified yet? No? Well, if you’re not, perhaps it’s because you have a broader understanding of what drug package inserts are and how they got there. The inserts are produced by the manufacturer of the drug, and they have long been required by the FDA to include them. Every drug has them, and you can actually see a huge compendium of what’s in them by referring to a book that has been around for many decades: the Physicians Desk Reference, or PDR. PDR.net is to be used only as a reference aid. It is not intended to be a substitute for the exercise of professional judgment. You should confirm the information on the PDR.net site through independent sources and seek other professional guidance in all treatment and diagnosis decisions. 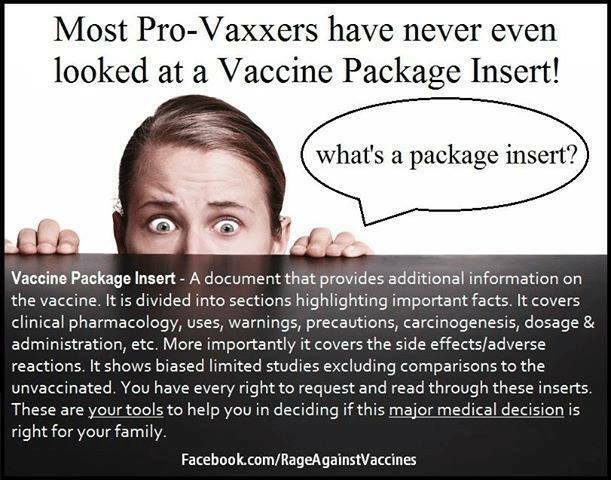 The package inserts are, in my opinion, mostly designed as an attempt to protect the manufacturers from liability for untoward outcomes. They throw in absolutely everything that seems remotely possible or has been anecdotally reported. And you should know the reporting system is not filtered at all, merely compiled. I’ve seen lists of side effects that include opposite things: constipation or diarrhea, high blood pressure or low blood pressure, and quite a few others. 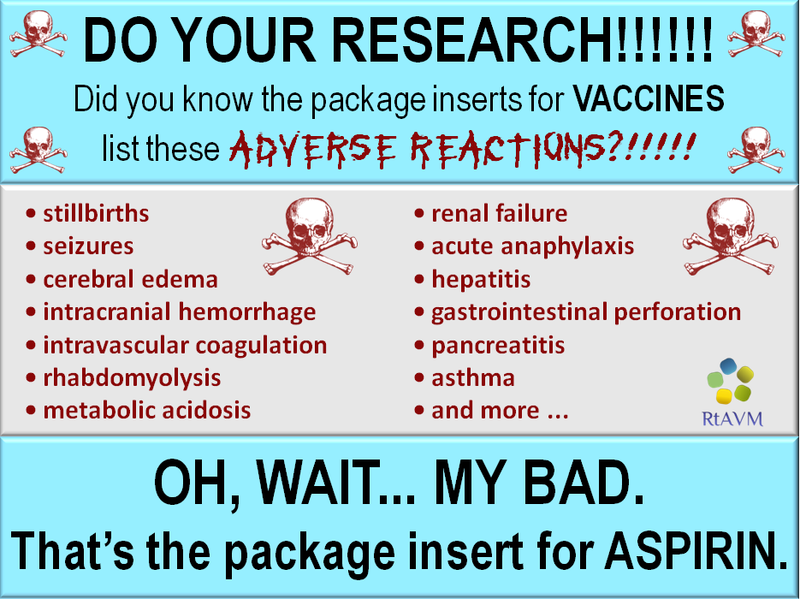 Vaccine package inserts are no different in this respect from those for a host of other drugs. Even the insert for normal saline, which is salt and water, sounds kind of scary. Saline is one of the cornerstone treatments we use in pediatric critical care, yet the insert warns: “Safety and effectiveness of Sodium Chloride Injection, USP 0.9% … in pediatric patients have not been established.” This is pure nonsense. 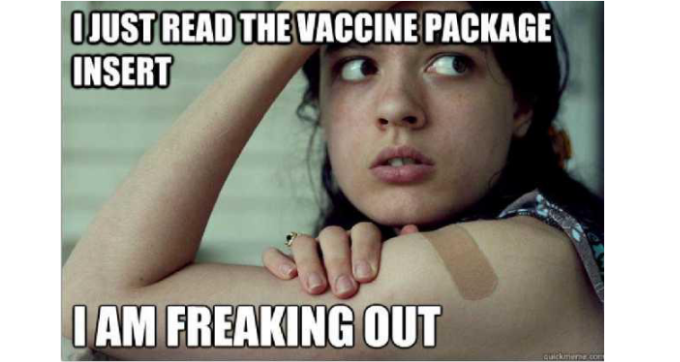 We inject it as quickly as possible all the time for severe shock. Schools should discontinue support for football. Here’s why. Withdrawal of care in the PICU: What happens if there is disagreement? < Previous post You’re disappointed with your health care. Here are 5 reasons why.